#Suggest what is trending. I have selected the title #FunWithLearning not because it is trending but I want it to trend. The only reason I want to make you aware about it is, you should know how important learning is and what difference it can make in your life. Few youngsters don’t bother to learn much, as they think life is for fun and we need to live life only with it. For them fun means partying all night, hang around with friend and lot more. Actually I am not against this thought process but along with fun, learning is also important. Learning is the act of acquiring to know, or modifying and reinforcing, existing knowledge, behaviors, skills, values, or preferences and may involve gathering different types of information. Learning is not compulsory but it is contextual. It does not happen at once but, it builds upon and is shaped by previous knowledge. There is a myth that we can only learn through books or school, actually there are many other mode by which we can learn. Nature– We can learn many things from nature. Discipline– We can learn discipline from SUN. Sun always rises and always set on time. The way SUN works on daily basis we can learn the timeliness and commitment from it. Helpful– Tree stands tall and bears all the heat and gives shadow to those whoever come beneath it. We can learn this quality in our personal life. The quality of being helpful to other will help us in future to build a good relation with people. Sports– We watch many sports and we are personally and emotionally attached with it. We can also learn few things from it. Team work– We can learn team work from almost all the sports, be it cricket, football, basketball. When players are in the field they leave their individuality behind and work as a team. They get together and play for their team. Dedication – How all the players are dedicated towards their sports and give their best out in the field. We can learn the same in our studies and in our work. We also can dedicate our self to whatever activity we are doing. Self-Motivated- Players don’t get motivated all the time. They are self-motivated as they know what they are doing? Why they are doing? And for whom they are doing? Similarly we also need to be self-motivated and know the above questions to succeed in life. Attitude– Most of the players has one thing in common that is Attitude. Their attitude towards their play is very positive and they are also more confident when they are on field. Similarly we need to have positive attitude towards our Job. We should also learn confidence from them. We need to be very confident on ourselves. If we are confident we will be able to do our best. Learning is the acquisition of knowledge or skill through education and experience. Our ability to learn and our intellectual capacity are intangibles. However, these intangibles are your greatest assets because everything you do to reinvent and update your knowledge allows you to grow from where you are today to where you want to go. Learning is prerequisite to growth. We live and work in a changing world. New laws are introduced that lead to the introduction of new policies. New ideas and approaches emerge. New problems arise and new solutions are sought. The world of work is therefore a constantly moving and evolving one. What this means, then, is that, if we are not constantly learning as we go about our day-to-day business, then each day we are getting further and further out of touch with the demands of the modern working world. Learning is not just important to ensure that we keep up-to-date with developments in our particular field. It is also an important source of motivation, stimulation and job satisfaction. For example, somebody who works in a particular place for three years and during that time continues to learn, grow and develop is likely to experience far greater job satisfaction than someone who stays in the same post for three years, simply repeating the basic tasks in the same way without any growth or development over that time. Learning should therefore be seen as something positive and worthwhile in its own right, not just something that we have to do to meet other people’s expectations of us. Receiving a good education helps empower you, thus making you strong enough to look after yourself in any given situation. It keeps you aware of your given surrounding as well as the rules and regulations of the society you’re living in. Education helps you understand yourself better; it helps you realize your potential and qualities as a human being. It helps you to tap into latent talent, so that you may be able to sharpen your skills. Another importance of education is that it helps you gain sufficient academic qualification so that you are able to get suitable employment at a later stage. A decent employment would be combined with hard-earned remuneration or salary through which you can look after your personal expenses. While you earn for yourself, you gradually begin to realize the true worth of money and how hard it is to earn it. You realize the significance of saving for a rainy day and for unforeseeable contingencies. You feel empowered because there is a new sense of worth that develops within you, and you feel the need to be independent and free from any further financial support. Education and studying regularly, gives people of all age groups something substantial and challenging to do. It helps them think and use their idle hours, doing something productive and worthwhile. Education need not be purely academic and may include reading for leisure or as a passion for literature, philosophy, art, politics, economics, or even scientific research. There is no limit, to all that you can teach yourself, only if you take the interest to learn and grow as an individual. However, those who treat knowledge as trash, eventually find themselves getting absorbed with thoughts of violence, and jealously against those who are better off than themselves. It is people such as these who turn towards drug addiction, unnecessary rebellion, crime, and plain inactivity. Such people lack the self-esteem, which a good education often provides to its followers. From the above importance we understand how important learning is but it is more important to enjoy learning and this eventually comes through fun. If we enjoy and we learn then we will be able to implement what we have learn and use that learning into our day to day life. “The 10 years of school are the ones that a person can never forget in his life”..
these statements don’t seem true when you get to experience the life during MBA, especially if it is IBS Hyderabad. 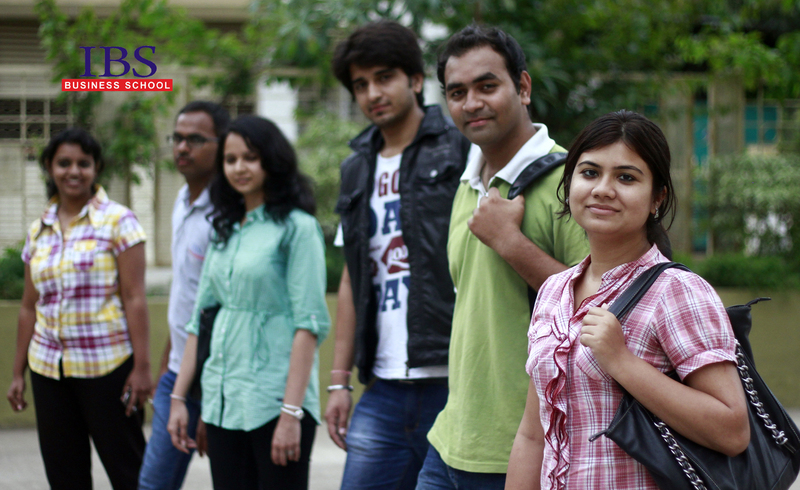 The vast campus and the infrastructure is the first thing which attracts students. The second thing is the 100% case study methodology. 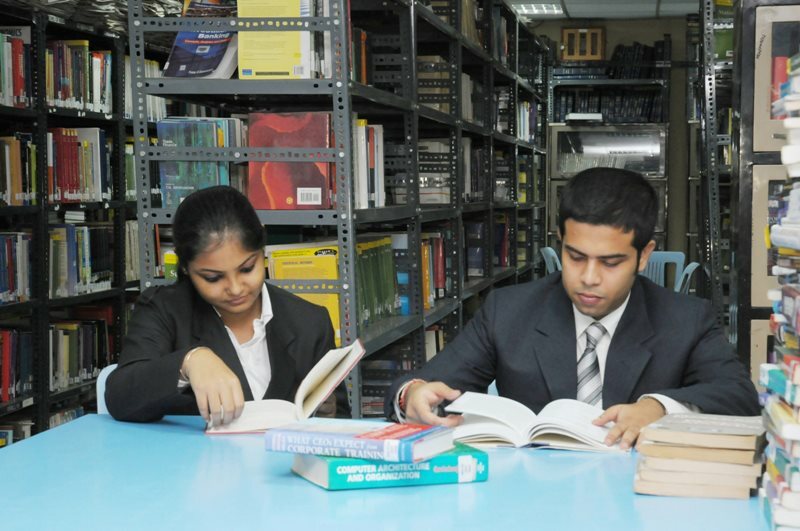 The institute has a research center that develops its own case studies which are used as a source of reading material in various other colleges. The pedagogy involves case studies from Harvard as well. Coming to the student’s point of view and the advantages they get out of this, this method of teaching may be challenging for few students. But the benefits weigh more. Cases, first of all, provide that practical knowledge which cannot be found in textbooks. Apart from that, the challenge which is posed at the students helps them learn more than just finance or marketing. It is the time management that the student learns. We keep hearing that management is not about hard work, it’s about smart work. This is what we learn here. Cases teach us to differentiate between relevant and irrelevant data. A student on an average studies around 500-600 cases, which analyzing companies from 500 to 600 different perspectives. Imagine the bulk of knowledge you gain every day. But there’s much more apart from cases to look out for in the 2 years. 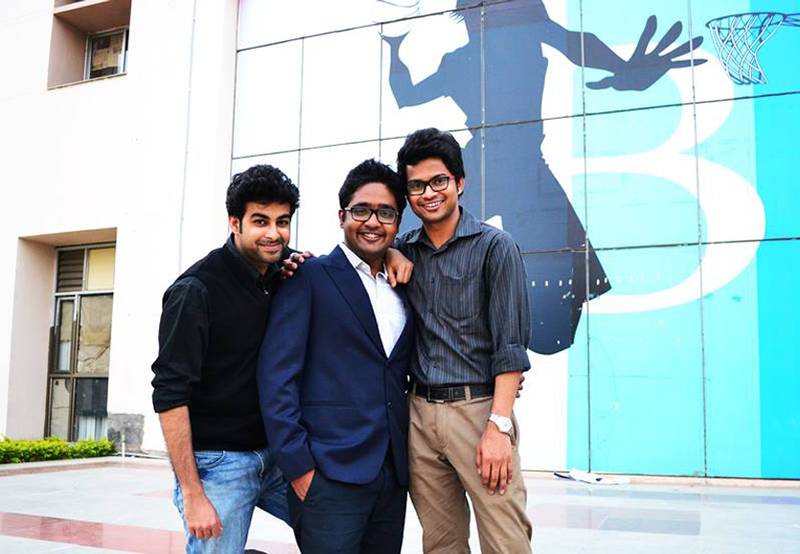 Every student holds a talent and IBS Hyderabad has got the means to showcase it through its clubs. There are clubs for every purpose, be it finance, marketing, arts, sports, movies or social service. This is the part where students learn to develop their personalities, interact with others, work in a team and take decisions. 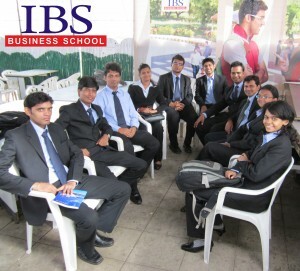 At IBS Hyderabad, it’s a complete package. There is so much to do that a mere 24 hr day seems so short. It’s a lifetime in just 2 years. Apart from the latest technology that connects us to the rest of the world, the various combinations of the 26 alphabets also has a vital significance in forming the nexus with the rest of the world. These combinations of 26 alphabets has been bestowed with a single word called “ENGLISH”. Besides being a common language of the world it also has altogether different role to play in our context which is MBA. Let’s focus on English as a tool in the entire journey of MBA. The first step in MBA is the clearance of the entrance level exams. Usually these exams are Group Discussion and Personal Interview. Both of these exams require you to hash out your views in front of another person and in both the exams the moderator or the interviewer try to uncover your comfortable level with English. In case you goof up here at the very first stage then there goes your chances of entering a B-School in dumps. Since, majority of students apply for MBA directly after their graduation where not enough opportunities lies in communication part. Hence, a microscopic leniency is shown at this stage by the examiner when it comes to English due to the fact that MBA not only bombards you with the technical aspects of the corporate but also opens you up in front of other people. Unlike majority of other courses where technicalities of the disciplines are given a top priority, MBA is one such academic course where no matter which stream you opt but communication always gets the apex priority. Seems like the only reason why in the first two semesters we are compelled to go through a brief of every stream and speak on every one of them in forms of various presentation. IBS, specifically, has Personality Effectiveness Lab and Business Communication classes in first and second semester to eliminate the fear of speaking in front of audiences and also eradicate any problem one has in English. Not only one has to be a master in verbal English but also one should be able to write and comprehend the written in English accurately. Once you are done with the presentation, you are entitled with a task of penning down your concepts learned in a semester on sheet of paper. If little do you know about the rules of writing in English you might end up with gibberish in your exam answer sheet. You were good at learning your concepts but when it came to express it on a paper you bungled everything. Hence the oral and written English are the two sides of the same coin. Next comes in a life of a MBA student a red letter day. The placement day is on you, you are well versed with the ins and out of the company which is in your campus to recruit you. You sit in the interview but on the very first question of the interviewer you fumble and at that time this language becomes the only hurdle between you and your success. Though there remains an informal culture in the organization which has come to pick you and everyone communicates in the language they are comfortable in but for the only reason that you lacked confidence in talking in English at the time of interview, someone else who was not even aware of the business model of the firm got a chance to be in the company only because he or she mixed the 26 alphabets rightly at the right time. With the bits and bobs of the English language you are in a company now but you are unable to communicate with others in your team because either there is someone in your team from an alien country who does not speak your language or there are some in your team from those Indian states where English or the regional language is far more influential than the mother tongue. This deadlock between you and the other team members could steal some of the stars from the performance review sheet. Okay! Once an internal employee can understand this entire turmoil of English language with you but then you surely cannot give an excuse of a language to the king of the market, The Customers. When they approach you with any query you just cannot excuse yourself from them because you are not that good in English. Once you could thank your stars because a customer turned out to be an Indian and with the passage of time and a long term relationship you get informal with the customers when it comes to the communication part but you will always be cursing your stars if that is a customer from a foreign land. Also, It so happens that an organization sends their best employees on a foreign business trip to represent their company to the international client. There arises an opportunity like this in your organization and you lose it in two ways. Firstly, you never get a chance to go on a foreign trip because the only common thread you share with the client overseas is the English language and hence some else who performed less than you gets a chance to be on board with other just on the basis of his fluency and he command on English language. Secondly, even if you get a chance based on your performance you ruin your impression and that of your firm too in front of the international client. We can see that the English language plays the role of a backbone in MBA and there are only cons of not knowing English. Everyone, opting for MBA, knows the 26 alphabets of English but combining them correctly creates the magic. One can get a hold of this language by continuous reading in the same language, if one cannot sit for long hours for reading then listening to English commentary of any sport is another way of getting familiar with it. What else could be an interesting way of learning this language then watching movies with their subtitles on? If nothing works then professional help is always there in forms of English classes and grammar books. You might always have heard employees saying that if I become a manager then my life will become so easy and I have to sit and do nothing! But in real terms what they think is not the right scenario. Life of a manager is not as easy as the people perceive and you hardly ever hear from the mouth of the managers that management is an easy job. That is why Roger Needham says “Management is that for which there is no algorithm. Where there is algorithm, it is an administration”. The path of becoming a successful manager is not so easy and there are a number of challenges on the way. A manager has to overcome a number of managerial problems coming time to time and has to find effective solutions to perform his role with effectiveness. Here are some of the most common managerial problems and ways to solve them effectively. How to hold the employees accountable when they do not deliver? Well, the solution is straightforward and starts with full awareness and acceptance that accountability is a core task of management and you have to accept it and is an integral part at this level of business. You may not always like it but have to do it. If you really feel uncomfortable holding the employees accountable for what they do not deliver and facing their discomforts on this, then it is better you select a different line of work than holding this kind of authority. You can really be aided by many things in this endeavor but the bottom line is that you have to maintain the accountability of the employees. Setting optimum employee objectives which are clear and measurable is the second most common managerial problem faced by the managers. If the goals for employees are unclear, non- existent, obsolete and difficult to be measured then it will certainly create more managerial issues including accountability problems as the time goes on. The solution to this problem is not as difficult as it seems and by setting clear objectives and goals known to everyone, it will be easy to hold someone accountable for that which he had not achieved. When the height of the bar is clear to everyone i.e. objectives are clear then accountability becomes less of an issue and discussions about the results are rational and based on facts. That is why managerial gurus always say that objectives which are well-conceived are the best friends of a rational manager. Another most common and serious issue faced by the management is the development of the employees. When the employee development needs are not fulfilled then it leads to the employee dissatisfaction and may lead to disengagement in most of the cases. When a manager takes interest in the employee’s career development and skills enhancement then it ultimately sends a very positive message to employee and brings retention and more engagement of the employee in the company’s activities. The most common reason why the managers are not able to provide career development and support is the unavailability of time. They say that there is not enough time to handle such tasks. But employee career development should not be taken as a strenuous task and it should be taken as a soft activity and an important one. Employee training and career development activities are long term investment and they really require minimum efforts at less effective costs. Employee development activities should be taken as a priority task along with other operational activities and the managers should really carve out the time with their employees to perform it. The positive effects will not appear soon but after some time they will start coming out and you will see the results in the form of more retention rate of employees and more engagement and productivity. Therefore spending more time with the employees in their career and growth activities is really important for the managers and they should really work hard to carve out some time for these activities. Scope change is one of the most dangerous things that can happen to a project. If such projects are not handled properly then it can result in spending of extra cost and time and project may incur losses. Even a small modification like changing the color of logo or addition of a webpage can result in project delay and can be problematic. The solution to this major managerial problem can be achieved by defining the scope from the outset and monitoring the project on a regular basis. The best thing is to track change requests separately from the original scope of the project and providing estimates clearly on how will it affect the project schedule. Getting an explicit customer or the stakeholder approval for each change is very important in this scenario. Another big object in the inventory of big managerial problems is the slow communication with the client. People are really busy and they don’t have the time to communicate on a regular basis. Therefore it is tough for managers to move forward on a project if they do not get answers on specific project issues. A good solution to this problem can be achieved by increasing the response rate by working ahead of time. The best thing is start working in the direction you think best and then ask verification from the client. This is really a good strategy and this will help you to save your time in waiting for the back and forth communication and you just need to get the “yes” or “no” from the client. So in short, the approach for solving these most common managerial problems is simple and not much difficult. The only thing needed to handle these issues is to take the best managerial approach and this is what expected from the ideal managers who well know how to manage and excel the art of management! So you have been selected to work for one of the ‘Big’ banks in India. What are they paying you? How was the interview? Did they ask you much about finance? Did they grill you on Marketing funda’s? It was hard wasn’t it? So you have a couple of days of vacation before you join? Or is the requirement immediate? Either way, congratulations on your first ever taste of what it is going to be like to work for a bank and I wish you the best of luck. Are you a bit curious on what your work will be there? Do you really want to get an understanding of your role as a Management trainee in the Bank? Let me tell you a bit about the Banks and jobs in India. All these have been gathered from the vast experiences from my friends and classmates from all over India who have worked for various banks as part of their career. So the roles in both of them pretty much are the same so I won’t classify the roles according to the sectors. There are many others these days, and a good tip is to speak to the immediate pass-outs from the college to get an overview on the current job hiring trends. So let me get into these roles one by one. Credit/Loan Manager: The Role of CM/LM is pretty much similar. One is responsible for the entire credit/Loan granting process in the Credit/Loans department of the bank. These guys work closely with the Credit Card agents, and Credit rating agencies to keep a look out for potential clients, and also keep a vigilant check on the credit rating of the customers of the banks. They can be assigned to either the corporate clients, like various corporates who have an account with the bank, so as to check their year on year ratings, liquidity, any public announcements and news on credit problems etc. Or they can work with a list of clients/potential clients of the bank, to issue new credit cards/Loans (to bring new business) or to ensure the existing customers are good creditors to the bank. They keep a vigilant check on the individual rating of their clients and have to keep a check on the defaulters and the remedial actions for the same. The management bit of work comes in where they get to do a lot of analysis on the credit policies of the bank and make suggestions to the higher management. Provide relevant data and analysis of the statistics of the department. Handle relationship with various teams, investigate credit applications etc. Operations: Most of the foreign banks in India have their operating wing based in India, as part of their strategic global policies. So they are always in huge demand for MBA grads. The work in operations revolves around handling the Back office operations of any section of the bank. Be it post trade processing, Middle office roles, settlements, Reserve calculations, paper work etc. The reason why I would not elaborate much on the Roles in operations, rather just give an overview is due to the fact that when banks hire for operations, they put their employee under rigorous training and get them well acquainted with their roles before they go on the job. Some of the roles here are high risk. The jobs generally will consist of some amount of pressures with respect to timelines and work. But it is a great way to understand the actual working of the world of finance. Relationship Manger: The RM has one of the most interesting jobs. They handle somewhat large corporate clients or a group of clients and get to interact with each one on a personal level. They help the bank with maintaining customer relationships. They get to analyze a client’s financial history and current portfolios and recommend various new types of instruments. They also get to research for potential and new clients and custom make portfolios. These guys have to be on their toes with the financial trading markets and any new instruments that are available. They bring new business and do a lot of sales to their clients. Marketing Manager: The MM gets to join the Bank’s Marketing team and work with various external marketing agencies to use media and print as a medium for advertising the Bank. They have the responsibility to work and maintain the bank’s brand image and make any internal and external communications to the employees and public respectively. They work towards strategizing the Bank’s corporate vision and aligning it with its marketing campaign. Analysts/Traders: I classify the Analysts/Traders for a bank in a single category as they have one thing in common. The designation given to the job in the Letter of Offer is either of the two. These guys get to see a lot of the Front office action. Their jobs revolve around the clocks of the markets of the world depending which markets a candidate is hired for. They do most of the Front office operations, like trade booking, fresh deals between counterparties, deals with other banks etc. The job is a fast paced and high in precision: ‘Time is money here’. So, even though there are a lot more roles I hope you have an idea of the general categories. Almost all the roles contain selling, dealing with clients, calculating statistics, making reports, presentations, and handling teams of people. So keep an open mind and make the best use of the experience. 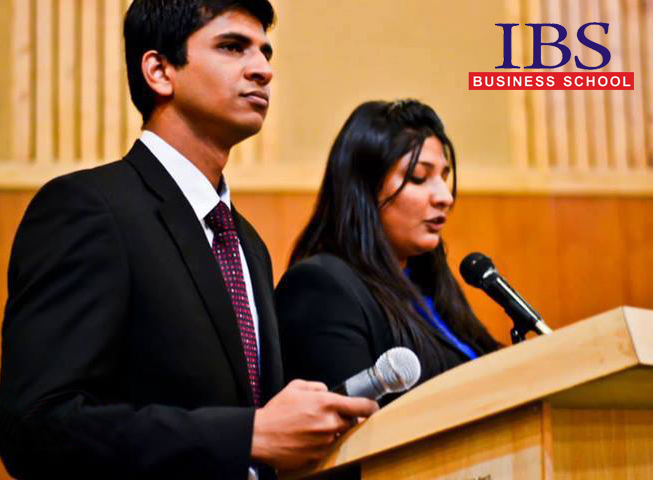 So, finally you have decided to shift your career to the fast lane by adding the MBA degree to your career and we are happy to hear that you have chosen IBS as your preferred MBA Partner. And now the time comes for the second most critical step. Which subject to choose and why? 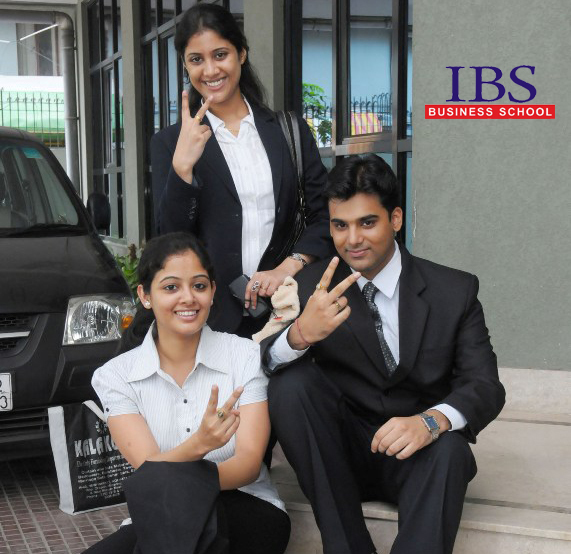 At IBS, this critical question is approached with the utmost care, which is exactly why we are among the best in the colleges in terms of providing the assortment of subjects during our MBA Program. Step One: Your subject till Graduation! You should look back and consider all those subjects you have studied till graduation. How well have you done in your graduation in those subjects? Were those subjects to your liking or not? If the answer is: I did fairly well and yes I liked the subjects in my graduation, then you should continue to study those subjects in an advanced module during your MBA and get a total know how of those subjects. If the answer is otherwise, you should sit down, talk to your friends and fellow students, take help of your teachers and seniors and should not hurry to choose your subjects. Step Two: Exploring the Options and Become Multi-Master! Many a times you would have come across people who would have pursue subjects which they had never studied in their student life before. Such people want to study and experience those subjects to give their career a second or a back-up choice. However, as per the adage goes “Jack of all trade and master of none“ be careful of choosing many subjects. Trying to specialize in too many subjects might result in you having just a superficial knowledge and expertise in none. Sometimes most of the students have no option but to choose different subjects with respect to what they have already studied in their graduation. For e.g. an engineering student from the fields of Mechanical, Civil or Electrical do not have relevant subjects that they have already studied in a MBA curriculum, but an MBA Degree would definitely add to their resume. They should not consider themselves a minority as compared to all those who have done BBA and have now joined MBA, but it would be wise for the engineering students to focus on subjects such as Sales, Marketing and Operations as there is huge demand in the market for those who specialize in these fields. Step Three: What do you want to do after MBA? Even though it’s the last step but the most critical and important factor as it will help you differentiate yourself from rest of the others. When a student joins the MBA Program, every parent starts dreaming that after 2 years their child will join a big multinational firm or some company is going to hire them for a project overseas. There is absolutely no harm in seeing those dreams but it actually depends on whether you want to join an MNC or are you brave enough to become an entrepreneur after your MBA. Richard Branson knew he wanted to be an entrepreneur at a very early age, as do many successful business people in every sector of the economy. Some people, it seems, know what they want to do almost from birth and cannot wait to start doing it. If you know your strengths, whether it be in entrepreneurship, finance or general management, and more importantly, you want to build on them, doing an MBA is an excellent means of achieving your goal. I am pretty sure that while doing your MBA you will be able to figure out your strengths and weaknesses in a much better way. By the end of the fourth semester you would be clear in your mind as to what you have to do after MBA and which subjects will help you in getting there. Or else if you want, you can take help of our Alumni network which has been our hallmark for years now. For e.g. if you are an engineer and want to pursue your career in the automobile Industry, then you should choose operations as elective along with the Marketing and this will help give your career a head start in a much progressive way and also help you build your future in the same profile. Similarly, if you are a finance graduate and want to become a core financial professional then choose Finance as your elective. In addition to the MBA Programme, you can also choose our CFA Course, which will help shape your career as a Financial Professional. If you are a BBA graduate, choosing MBA subjects would be a rather simple task, because if you want your career to move ahead in a rather well managed and professional way, you are being offered the best in class Management subjects. If you want to take your career in the manpower space, then you are welcome to choose the MBA Program in Human Resource Management which will give you the definite edge in the current Human Resources Space. I would like you to go through the list of the subjects which we offer during our MBA Program. In the end, I would like to stress on the fact that although it is important to choose your favourite subjects during the MBA Program, it is more important is to keep your goal very clear from the day one. An MBA Program is just a means to help you become a confident and brilliant manager who can manage time and resource well as compare to others. Focus on your goals, strengths and aspirations in deciding the best subjects you should learn during your MBA. 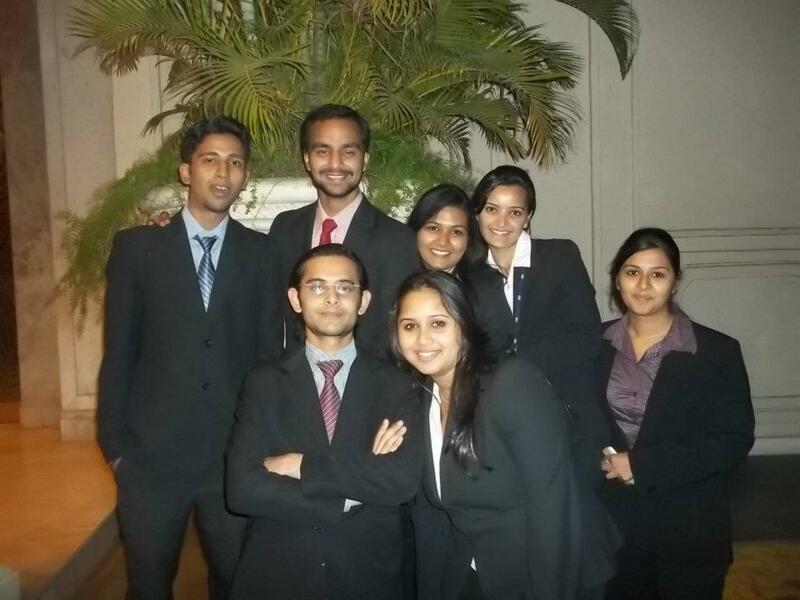 How an MBA has changed my life ? MBA has come out like a silver lining for me. After putting my heart and soul in engineering, I found the software jobs too ‘geeky’ for me. I searched for many options to pursue my masters in. After all my soul searching and guidance from my mentors, I decided to pursue MBA. This decision pulled my heart and head in different directions as I was unsure of my knowledge for commerce subjects but I kept self-confidence intact and I was very motivated. I could foresee the kind of jobs that MBA can offer. I started looking out for colleges and universities with their respective exams. 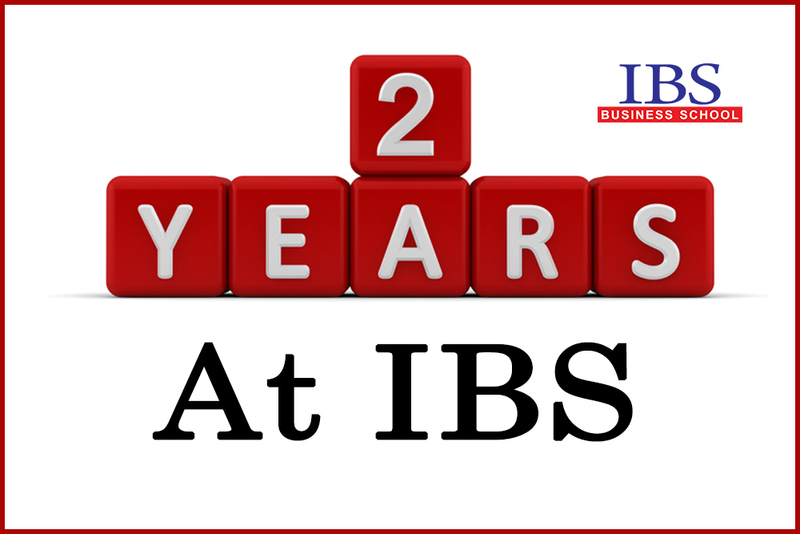 After putting in all the efforts and knowledge, I took admission into IBS Gurgaon. The entire PGPM program was very promising, I soon realized I was amidst talented individuals who are ambitious and aspire to be successful in their life. They were so enthusiastic and had so many ideas in them. I entered the program with both trepidation and excitement. It was an overwhelming experience for me. From the first class we were taught to work as a team and to be a good team player. 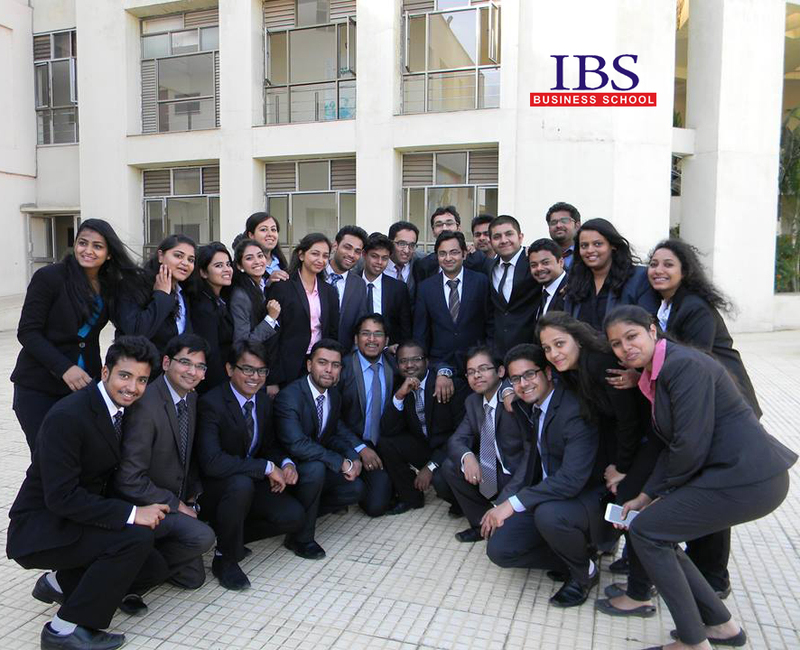 The classroom knowledge at IBS has provided good groundwork for me to pursue a management career. My projects and internships taught me about the real world of business and about its people and challenges. Together they transformed me from a technical engineer into a marketable and people- minded manager who can look into a broader picture. The case-study model assisted me to think as a top management team trying to solve company’s problems in the real world. The class participation helped me to be more vocal about my ideas and opinions. 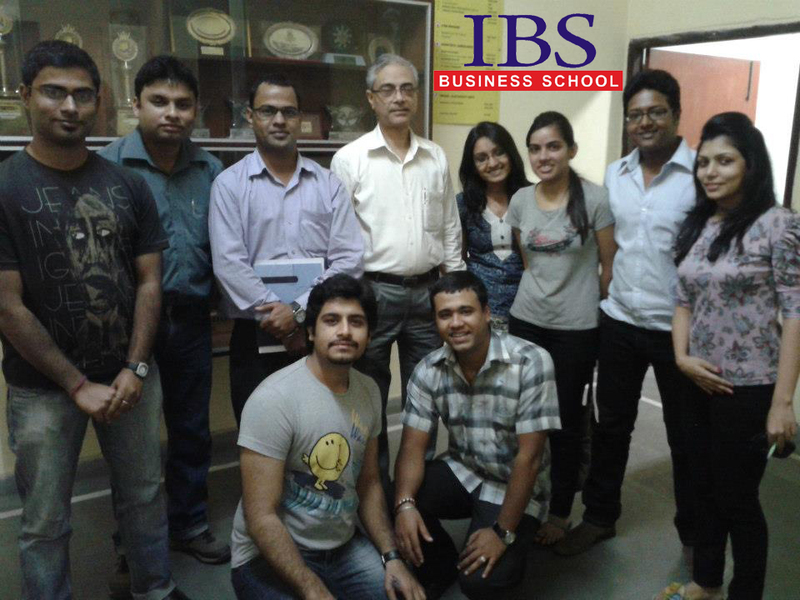 IBS faculties are at par with other colleges like FORE and MDI as their knowledge is commendable. My entire experience gave a direction to my career as I soon realized my strengths and weaknesses. I liked the idea of presenting projects in each subject in every semester. MBA has a lot of variety in it. It grooms you completely in every way. Be it your soft skills or hard skills. The major challenges which I faced in MBA were in terms of subjects which were new for me as I was from an engineering background. Yet I took help of my peers and learned a lot from them. It was great learning in a group of different people who had different cultures, mindset and backgrounds. Each subject helped me gain a better understanding of micro as well as macro concepts, such as how a company works, extending to how a country works. I passed all my exams with good marks and I was even more motivated and driven. I felt confident as my faculties inspired me to achieve everything I dreamt of. My MBA journey doesn’t end with this. I was a member of Student Council as well in my college which helped me discover hidden qualities in me. For instance, when I was the head of the HR club, we worked for HR Club named Ethnos. Together as a team we organized many events at our annual fest. It gives a great sense of achievement when you organize an event and it is successful. With each passing mile stone I gained a lot of confidence in me and groomed myself in every aspect. I gained immense knowledge which showed me the world when initially I felt as if I was living in a shell. When we had to choose our specialization, I chose to pursue marketing since I found it very interesting and within the realm of my strengths. It has provided me immense knowledge of various companies and their marketing strategies. It gives you ample exposure to today’s world and trends. Brand management was my favourite subject and the way we used to study made it more interesting. During the course of my MBA I accomplished projects which involved meeting new people, leaning from their experience and gaining through sharing. Marketing subjects were most interesting and required a creative eye to look at things which were happening around. During my summer internship with Ambuja Cements, a leading cement manufacturing company, I got to know that my MBA education is very well applicable in corporate world in a practical manner. A lot of time people do say whatever you learn theoretically is not applicable but I found otherwise. You learn and you implement. I understood their marketing and sales strategies with concepts I learned in my classes. 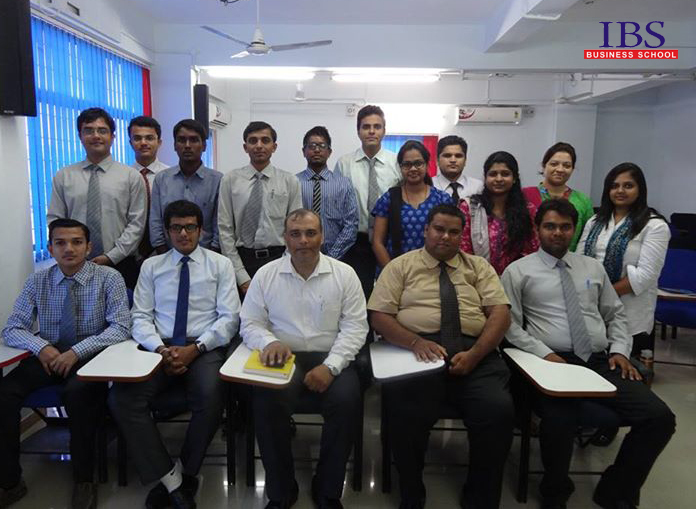 For my placement season we were well guided by our faculty through mock interviews, group discussions and aptitude. 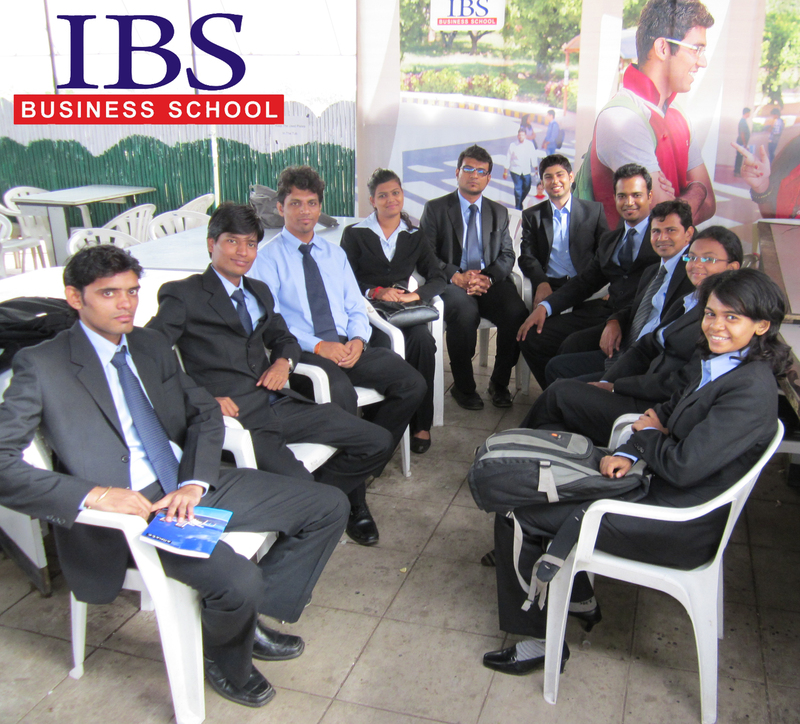 They trained us in every manner so that we excel in interviews of our dream companies. Each session included a fair feedback from faculty members which showed an actual mirror of my strengths and weakness. They polished me to shine brighter in corporate world. They taught us every aspect of corporate world. 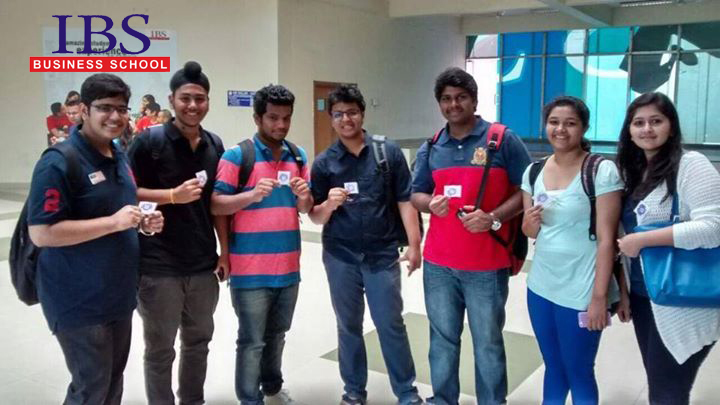 Soon placement season began with great enthusiasm and vigour. I was so glad to get into HCL technologies as it was exactly what I wanted. In the final days of my MBA, I learned how much I have gained through this entire program. I got to know many knowledgeable people around me, learned from their experiences at work. So overall, I have had two hectic and intense years during which I learned a great amount of knowledge. I had a stable career path and I saw an incredible change in my personality. Along with all these, I built a substantially strong network and close friendships. I found my decision to be fruitful and worthy of all my efforts. I would not be that happy if I would have chosen any other career option. I feel content and thankful to my college and faculty members for their constant support and guidance and for making me a better person overall. Now, I am a different and a better person. You always have a scope of evolving yourself and MBA has done that for me. Today I am working with HCL Technologies as a loyal employee dedicated towards my work and soon will climb up the ranks of corporate hierarchy. For all who are looking at MBA as an option for post graduation degree, it will make you more dynamic, driven and focused. You will develop a positive attitude and it will broaden your horizon of thinking. It will help you in networking, people management and may help you in starting up your own business. In MBA, you will gain ample knowledge of what it takes to make companies work and how to identify great business ideas. It will give you a real world scenario and experience. You will be more competitive to face new challenges in companies. If you dream big and aspire to sore high, then MBA will give you wings!